Are There Truly Benefits of Dark Chocolate, or are We Just Dreaming? So you’re on a health kick. Maybe you’re trying to lose some weight or maybe you’re just trying to get healthy. You’ve cut out carbs, soda, and most importantly you’ve cut out sweets; but what happens when you get that craving that you just can’t shake? You want to reach for a cupcake, but instead take the ‘high road’ and go for an apple. Then you remember the dark chocolate in your pantry. We’ve all heard about dark chocolate at some point. ‘It’s healthier than milk chocolate’, ‘it’s nutritious’, ‘it has all kinds of health benefits’; but does it really? Is anything that we’ve heard about the sweet stuff true? Well, in truth, dark chocolate IS considered to be way more nutritious for you than other sweet treats if eaten in moderation. It is packed full of antioxidants, fiber and minerals, and also contains iron, copper, magnesium and manganese. Dark chocolate has been found to help with all kinds of health problems including lowering the risk of cardiovascular disease, increasing blood flow, and lowering blood pressure. There have been studies done on the benefits of dark chocolate against all three of these health problems that have proved true, but there are also some that have proved the chocolate had no effect at all. A study done by The Journal of the American Medical Association found that dark chocolate has the potential to help lower blood pressure in some people, while another study by Mayo Clinic found that consuming dark chocolate had no effect on blood pressure at all. In another example, The BMJ did a similar study on dark chocolate, but they took a look at its effects on heart health instead of blood pressure. 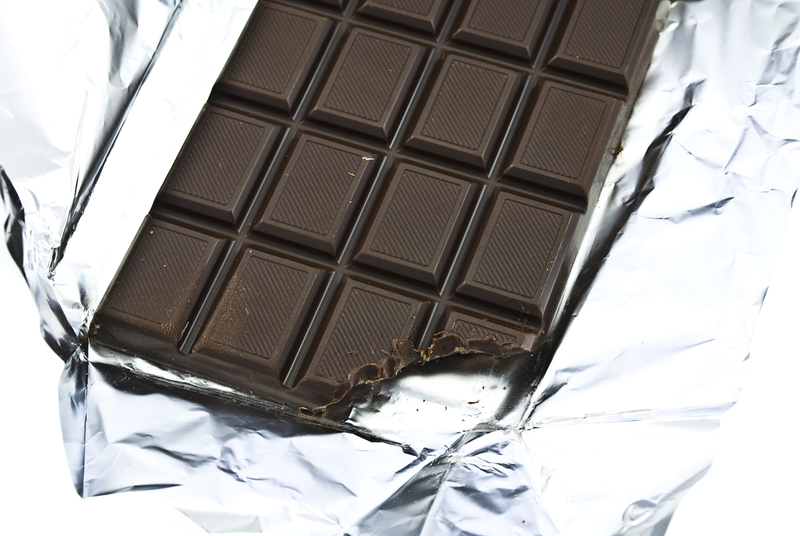 What they found looks very encouraging for dark chocolate lovers! Their study showed that adults who ate certain amounts of dark chocolate were less likely to have a heart attack or a stroke compared to adults who ate no dark chocolate at all. So it looks like research is leaning toward dark chocolate being healthier than other types of chocolate, but until studies can prove anything more, I don’t think it’s going to hurt us to continue to eat this tasty treat; and remember, check out Fillyourplate.org for some awesome recipes and more fun food information! This entry was posted in Food, Health Tips, Healthy Eating and tagged Antioxidant, Candy, Chocolate, Dark Chocolate, Health, Sweet. Bookmark the permalink.